If you’ve got an emergency lighting system in your building, you need our emergency lighting testing service. GetTesting can provide a fully-managed service on a monthly basis, annual battery drain-down testing on a pay-as-you-go basis as well as replacement of non-functioning or non-compliant lights. 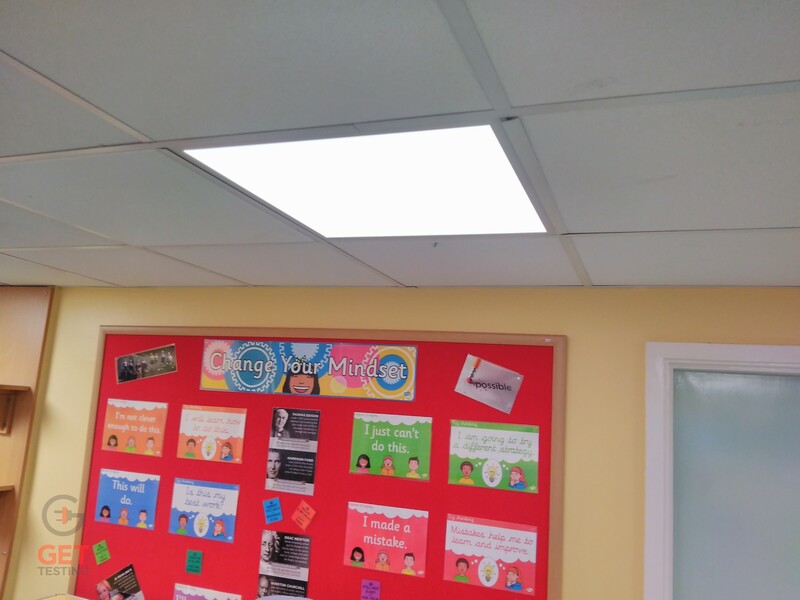 Emergency lighting is designed for situations when the main power supply is cut and any normal illumination fails. The loss of mains electric could be from a power cut or a more serious emergency, such as a fire. This often leads to sudden darkness within the area and possible dangers to the occupants. 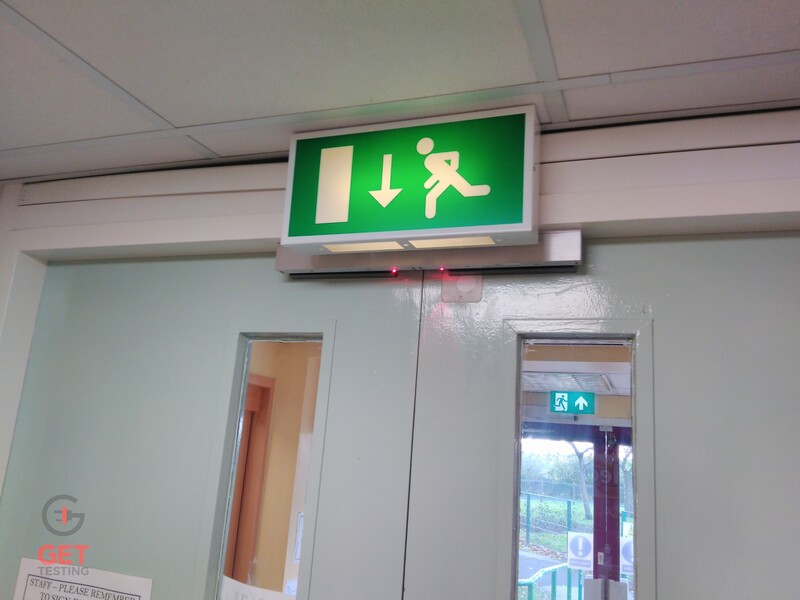 Emergency lighting is designed to be fully automated and it will give illumination of a sufficiently high level to allow occupants to exit the building in a safe manner. BS 5266 is the British Standard which provides the designer of the system with the minimum standard to work to and encompasses buildings such as hotels, hospitals, schools, offices, shops, multi-story dwellings and more. 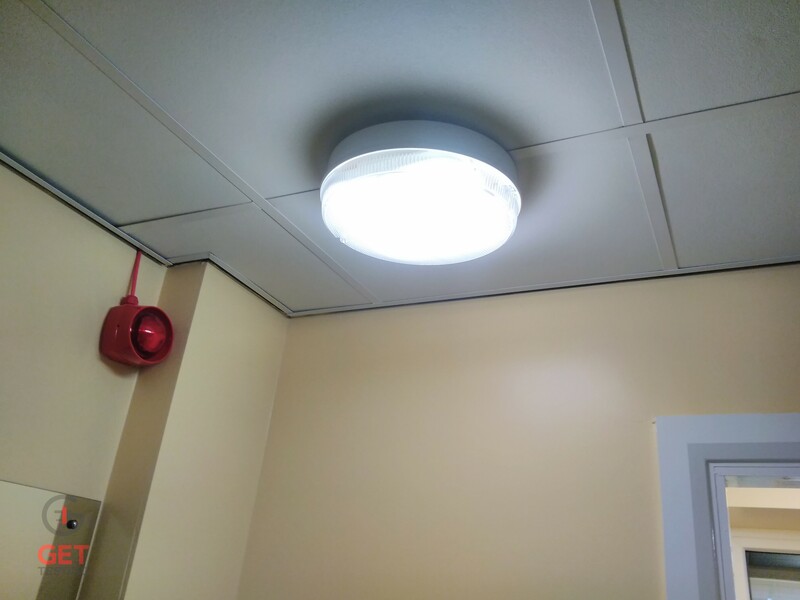 Although BS 5266 recommends the types and duration of emergency light systems to be used, it should be noted that these are the minimum safe standards and that a higher standard may be required for a particular installation or specialist building. Why do I need to test it? In plain and simple terms, you need to know that when you need it to work, it will work. There are two main parts of an emergency luminaire, the lamp (or LED in modern versions) and the battery. You must check the light works on a monthly basis with a simple function test, and check that the battery holds enough juice for its full rated duration and charges correctly once per year. Daily visual inspections to ensure the red or green LED is alight are also necessary. These tests are outlined in BS 5266 as a minimum standard, and must be completed, recorded and any necessary maintenance completed. Much of this can be done in house and we’re happy to give our customers some simple training on this. Prices for annual battery draindown testing start from £99+VAT & with recent violations ending with the 18-month imprisonment of a Blackpool hotelier  and a £200,000 fine for Tata Steel , can you afford to ignore this any longer? In accordance with BS EN 50172:2004, BS 5266-8:2004 all emergency lighting systems must be tested monthly and an Emergency Lighting Log Book must be kept up to date . 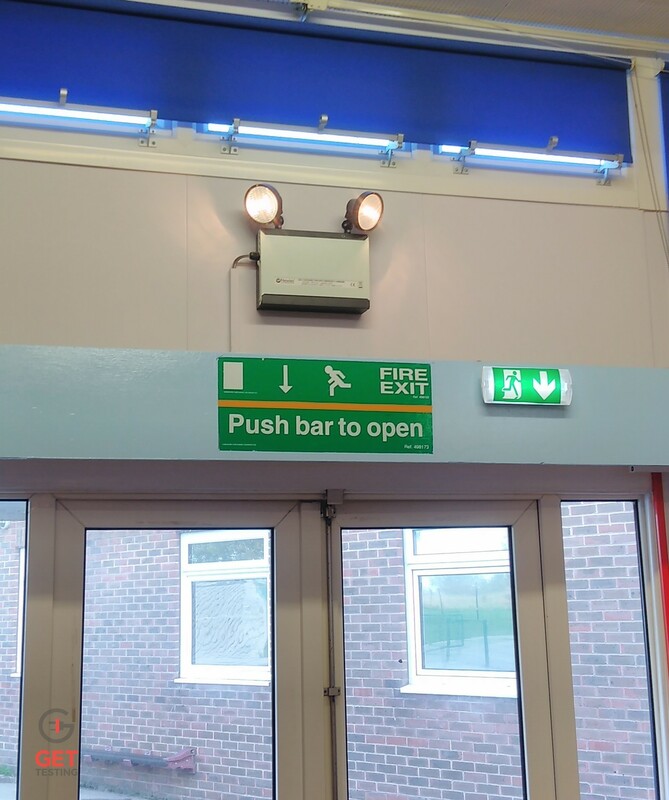 Daily – When the emergency lighting system operates with a central back-up battery system, daily visual checks should be carried out. Inspections of indicators on the central power supply should be carried out, to ensure that the system is ready for use. Monthly – Flash tests involve simulating a failure of the supply to the normal lighting for a sufficient period. During this period, all luminaires and signs shall be checked to ensure that each lamp is illuminated. Annually – Much like monthly checks, a full duration test involves testing each luminaire and internally illuminated sign for its full rated duration, which is generally, either 1 or 3 hours.